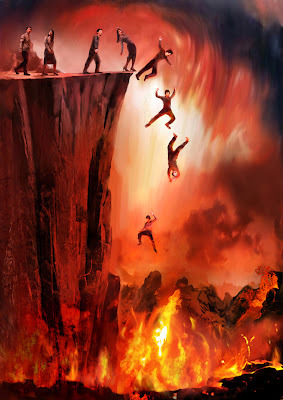 Many contemporary Doukhobors seem content to accept the general churchianity definition of heaven and hell with the accepted norms of eternal bliss in the far off and damnation and torture for the unbelievers. It is time for Doukhobors [old and new, strange to say some of our elders seem most prone to stray away from the earlier defined paths] to rediscover and reaffirm the Doukhobor concepts as pioneered many centuries ago. With that in mind I have been working on the following chapters examining the Doukhobors and the devil, and the formation of the Bible and how it deviated from Christ’s teaching due to powerful influences of the time. In their origin, the Doukhobors renounced myth and superstition in favour of a rational and non-superstitious approach to the Heavens, God and other ‘Divine’ Mysteries. They dispensed with the kingdom of heaven in the skies and brought it down to earth and to within mankind, best expressed by Tolstoy in his book: The Kingdom of God is Within You. The booklet "Doukhobors: their Faith" (published by the Doukhobor Society of Canada in 1961), has this to say on the subject: Bringing the "other world" into terms of life, the earth, - in reply to the question: what and where is hell; where do evil spirits dwell? The Doukhobors say: hell comprises those who do not perceive the light; evil spirits dwell in them. In such manner this fearful menace, and the pleasing allurement of "life in heaven", both of these superstitious forces are completely routed by the Doukhobors; having returned heaven to the earth, and raised the depths of hell into the world, into life. 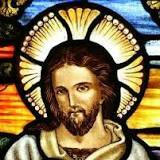 "The kingdom of God we recognize according to Christ's teaching to be "within us". Also hell, with all its tortures and bugbears exists not in some nether region, but in living men, who resort to anger and so forth. Evil spirits and various demons no longer exist, because they never did. All misfortunes and adversities arise from the fact that people did not heed and now pay no attention to their hearts and do not hesitate to quarrel, etc. 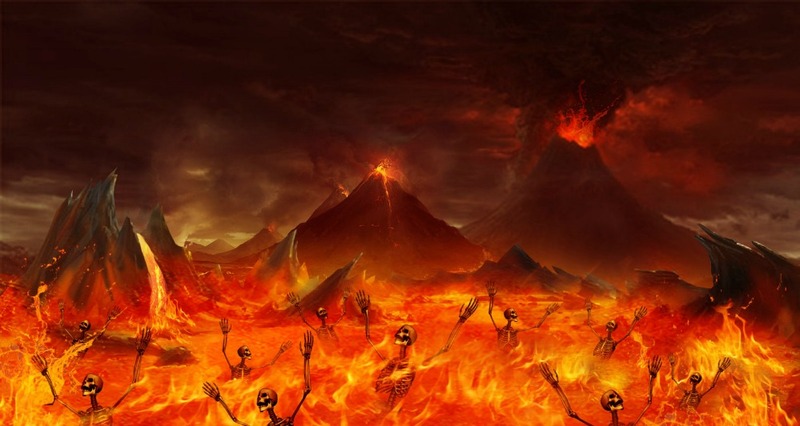 For this is what comprises all the powers of hell and the fiery henna which people conceive and represent to themselves as being the life beyond the grave; while in reality there is only an endless eternity unfathomable to the mind of man, that very peace from which sprang life of all creatures and us as well. Thus the life beyond the grave must be regarded as the return of ripened fruit to its original source. There is no heaven nor suffering there. Putting it in plain language we regard the angels of the Lord as - benevolent thoughts." Some of the original Doukhobors said that Christ was the first Doukhobor. In essence what they were suggesting were not new perceptions, but rather an attempt to regain some of the original concepts of Christianity as introduced by Christ. To appreciate the perversion of the original teachings of Christ, it is essential to have an overview of how Christianity evolved in the early years. 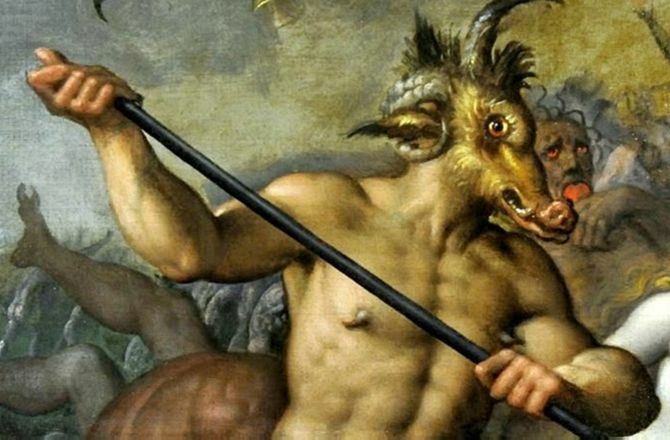 According to the Jehovah's Witnesses and other ‘born again’ fundamentalists, the devil is lurking behind every shadow in the modern and ancient world. According to these people Satan controls secular society and is especially active infecting teachers and educational institutions who propagate the theory of evolution and other evidence based principles. 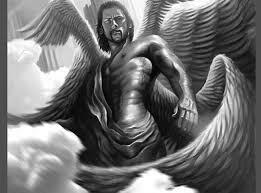 He also manifests himself throughout the Bible in a constant fiendish battle against the Lord and his angels. But are there any credible reasons for such beliefs? Early Christian writings indicate that the concept of immortality, first for Jesus, later for all believers, was a relatively recent innovation. 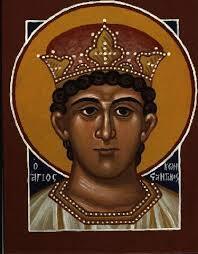 When the convert to Christianity, Emperor Constantine, decided it was prudent for the Christian heaven to join the dwelling of the Roman Gods, some of whom who had come to earth to couple with earthlings for the creation of demigods, the previous rational concept of Christianity underwent radical change. For equal footing for the new religion of Christianity and for distinction from the older religion of Judaism to which it belonged, Jesus must also be divine, and upon death, must join his father in Heaven in eternal bliss. Allegory in reference to the crucifixion was conveniently swept aside to spread 'Christianity' throughout his territories in order to continue the subjection of native populations. In 312 Constantine experienced a vision in the form of a cross with the inscription 'by this sign you shall conquer', before an important campaign. He understood that under this sign, he would slaughter enough of the enemy to win the battle, and so it happened. He also realized he would have to compete with the prevailing concepts of contemporary Roman religion; people believed that the Emperors were divine, and when their earthly days were over, they ascended to heavenly bliss. The scriptures were reinterpreted to support this new concept. Eventually, the believers in Jesus were included in this new abstraction of immortality as well. These early 'Christian' converts became so under the terror of the sword. One understands that if they did not share his enthusiasm for the new religion they would soon become victims of it. Consequently, Constantine became revered for spreading Christianity throughout the Roman Empire, and the Roman Catholic [Universal] Church was formed as the primal authority for all Christians. [His own concept of the belief was not exactly in keeping with the commandments of Jesus; he subsequently executed his eldest son and his second wife for treason in addition to the successful slaughter of perceived enemies of the empire]. Unfortunately, Constantine's concept of Christianity morphed into the Catholic Church became embedded and has endured continuing to redefine Christ's teaching. The teachings of Jesus were corrupted to serve an expansionist military power, and thus it has remained ever since. 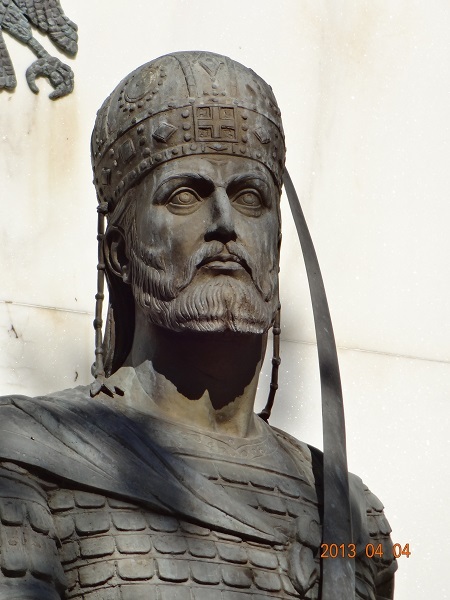 Thus, gradually, the original teachings of the early Christians, the sect of Christians belonging to the group called the Essenes, which some scholars credit with the primal Doukhobor beliefs, changed to become a suitably attractive alternative to the conquered population of the Roman territories who had previously believed in the Roman deities. The idea of a reward in heaven was an attractive alternative compared to their miserable existence on earth, especially when the previous belief reserved immortality for the emperors and not the common folk. Along with the attractive concept of reward in the nether-nether for suitable behaviour and conversion, it followed that there must be a suitable punishment for those who did not behave properly, i.e. who would not become Christians. Thus the torment of HELL and eternal torture became a rallying cry for the leaders of a once gentle pacifistic caring religion [Blessed are the peacemakers, Mt.5:9] whose original purpose was to do away with such irrational fables. Pope Alexander, of the notorious Borgia family for example, flagrantly bought the papacy through bribery and deceit, said: 'It has served us well, this myth of Jesus'. [He was later poisoned by wine intended for his host]. And who was most suited to carry out such dire infliction upon the unbelievers except the great arch fiend himself? Yes, enter the Devil, soon to become the Anti-Christ! Of course, he did not appear in the original gospels either except in a fragmentary, figurative, metaphorical way for purpose of illustration. 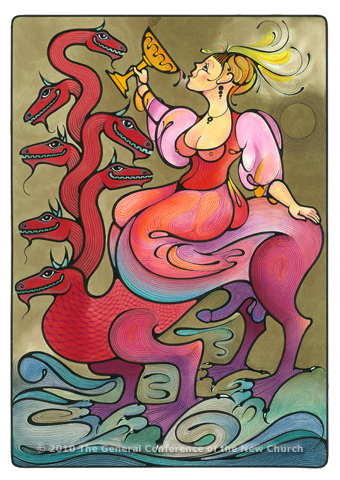 [Serpent, temptation, etc.] 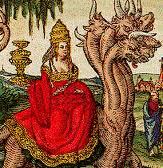 He also had to be invented first before he could take his place as the leader of the arch demons and the pleasurable tempter of otherwise God fearing believers, often presented as a beautiful woman, a sexist view of evil dating back to the Old Testament. 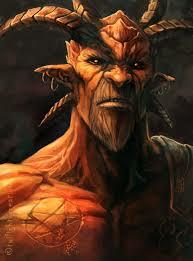 In the Old Testament, there are only three mentions of Satan as a personality. In the Book of Job, ch. 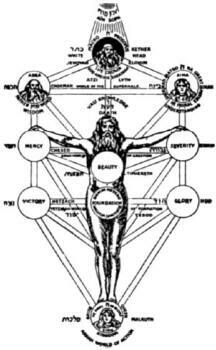 1-2, Satan is mentioned as one of God's followers; "one of the sons of God." He has been travelling throughout the world and begins to question the Lord about his man Job. Soon the Lord begins to torture Job to demonstrate to Satin how devoted Job is. The Encyclopedia Judaica points out that this Old Testament Satan is "clearly subordinate to God, a member of His suite, who is unable to act without his permission." The Job story, of course, is also an allegory, showing that every person is composed of good and evil, and that extreme dedication is necessary for good to triumph and faith to be maintained. In the New Testament, Matthew 4, Satan appears as the tempter of Christ. This seems to follow the previous allegory, and in this case, there is nothing horrid about him, he seems like an ordinary entrepreneur onto a business deal. Satan does not appear in Christian art until the sixth century A. D. and is represented as an angel and one of the sons of God. Not until another thousand years later, in the middle ages, does he begin to adapt his feral and chimerical looks. This period also roughly corresponds with the height of demon possession, as evidenced by the excesses of Christian zeal evidenced by the Inquisition. In a profound, modern revision, in the Second Vatican Council, exorcism was discontinued as the third grade in the minor orders of the clergy and was relegated to a symbolic ritual rather than an operative, hands on procedure. Is it possible that the devil is only deserting the Catholic Church but is still present elsewhere? In some areas, not the least in the imaginations of "born again" preachers, he seems to be thriving in a more fearsome manner than ever. Of course, today, Satan has moved with the times, and thanks to special effects and developments in prosthetics, and animation, Satan can be represented as a truly horrifying, fanged, tamaraus beast. His invention was not total, he basically moved from the Old Testament to take his place in the New. In its original translation, the word Satan was simply a Hebrew common noun meaning, 'an adversary who opposes and obstructs'. Only later does this concept become personified into a specific, physical being. He first appeared in even more primitive writings at the time of Nebuchadnezzar and the Hebrew Cabalistic teachings wherein he played a major role and appeared on earth occasionally, summoned by eminent practitioners of the black arts. 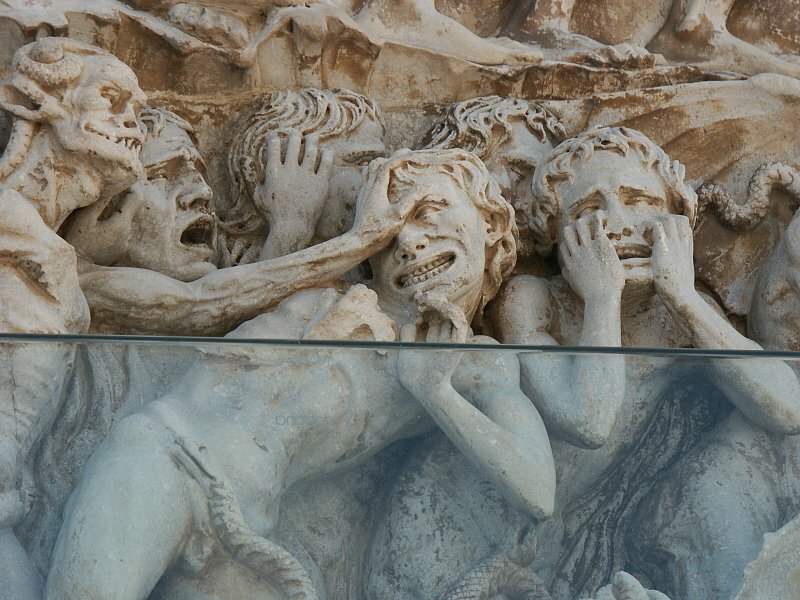 Touring the cathedrals of Europe, one can see lurid paintings of the suffering and torment in hell and torture administered by the fiend. This, of course, was meant to terrify non-believers. From a celebration of life as evidence of the God within, the new religion was evolving into one of repression, denial, dread and suffering. The concept of Christian guilt and Original Sin also was to be introduced at an important Council long after the death of Jesus and here Paul played an important part, including the subjection of women. Christianity began to mourn the crucifixion instead of celebrating the resurrection. 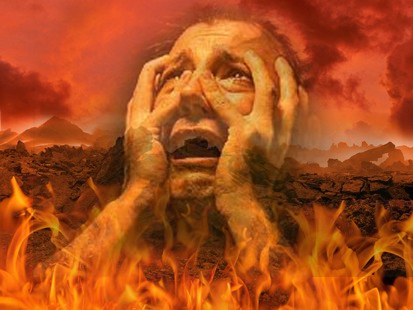 Confusion among later Doukhobors was amplified by the fact that some Doukhobor leaders peppered their oratorical salvos with references to Hell-fire, Mammon, Satan, Beelzebub, Devil, and other demons popularized by the Orthodox Church, and also spoke of a literal God in the skies as well as a literal heaven. Unfortunately, they were not on intimate terms with their own beliefs and history. Sources for some of these references were also found in the Doukhobor Book of Life wherein some misleading psalms were imported more or less directly from the Old Testament and contained some references to previous, discarded beliefs. In the second part to come, Doukhobors and the Bible, I will deal with further confusing issues which have also misled some sincere adherents.